Employee Engagement has a measurable, positive impact on the bottom-line. Companies are finally beginning to grasp that in order to keep your customers/clients happy, you need to have happy, engaged employees. When it comes to ROI, employee engagement is critical in driving success, following are points that show that Employee engagement is really worth it. Higher Retention: Highly engaged employees are 87% less likely to leave the organization. 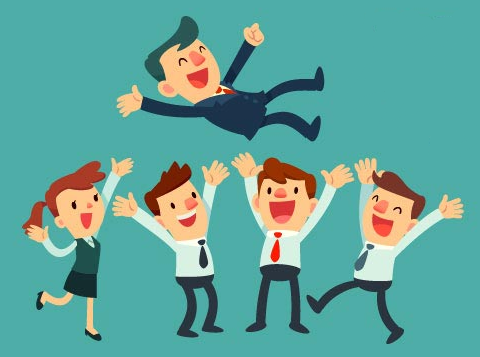 Investing in employee engagement will help you retain your top employees and decrease your turnover rates by ensuring that your team is happy. Lower Attrition: Employees who are 'engaged and thriving' are 59% less likely to look for a new job with a different organization in the next 12 months. Increased Profitability: Companies that have highly engaged employees produce 26% higher revenue per employee. The more engaged your employees are the more efficient and productive they become, lowering operating costs and increasing the profit margin. Less Absenteeism: Highly engaged businesses have realized 41% reduction in absenteeism. Engaged employees feel that they are part of the organization they work for, and therefore would not want to let them down. Innovation: 59% of engaged employees say that their job ‘brings out their most creative ideas’. Highly engaged employees feel they have a real stake in the organization, they strive to efficiently create new products, services and processes.